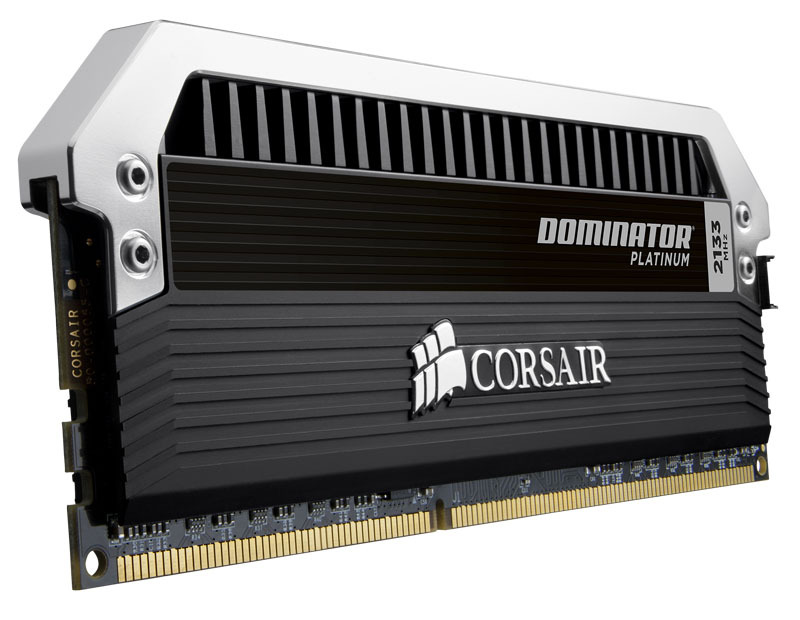 Corsair has recently launched the Corsair Dominator Platinum DDR3 Memory Kit in addition to its Dominator lineup. 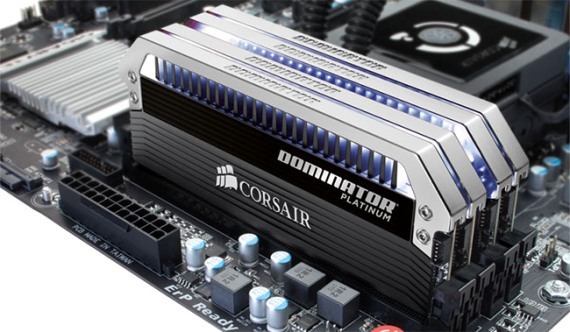 The new Corsair Dominator Platinum series features a new design with a customizable light bar, and also includes the patented DHX (Dual-path Heat eXchange) cooling technology, Corsair Link support and super overclockable DRAM ICs. 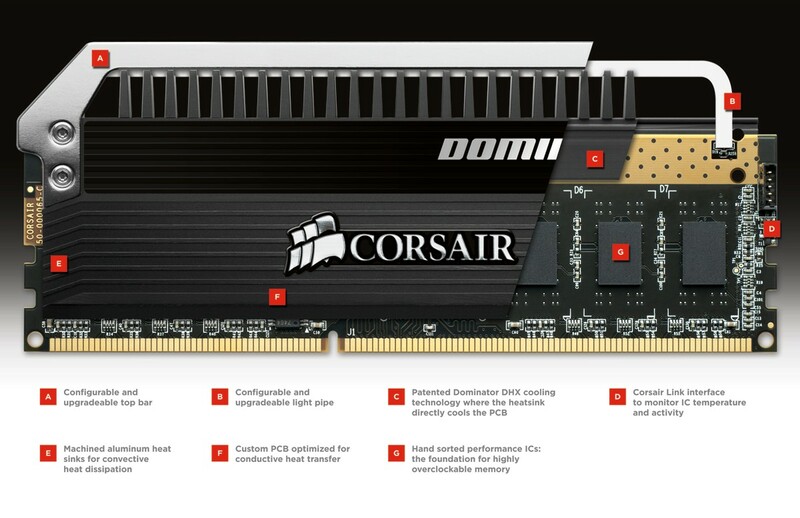 The Corsair Dominator Platinum DDR3 memory kits are designed to push the limits and performance of an Intel or AMD setup, including the latest 3rd Generation Intel Core processor “Ivy Bridge”. 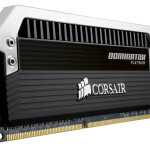 It also supports the latest Intel XMP 1.3 profiles for easy performance tuning/overclocking. The light bar (the silver thing above the heat spreader) is a new feature. This lets PC Enthusiasts “tailor” the downwash lighting effect that gives your system an impressive impression but subtle look. Additional light bars allow you to match your system’s color scheme. The additional light bars are available separately, beginning September 2012. 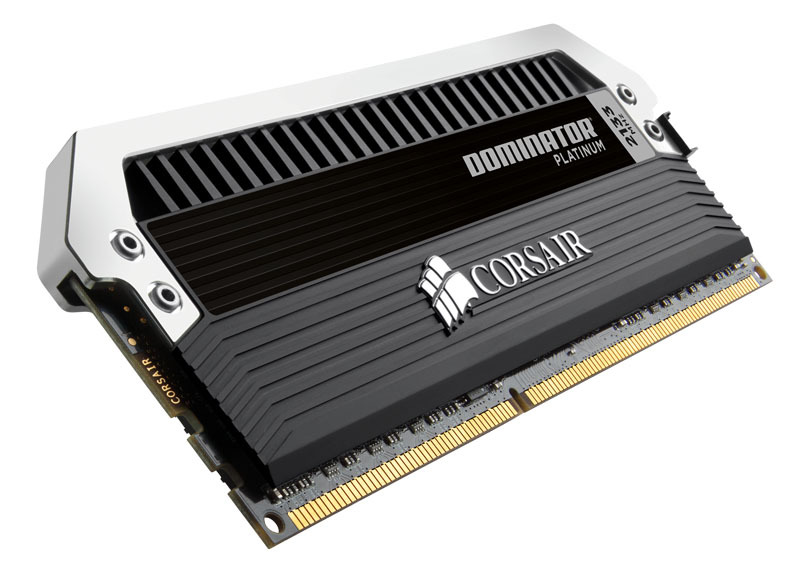 The new Corsair Dominator Platinum Series also features a full Corsair Link connectivity. 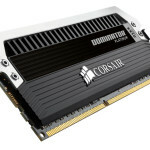 This allows PC Enthusiasts to monitor the DRAM temperature and other data, that enable the users to fine tune their system. 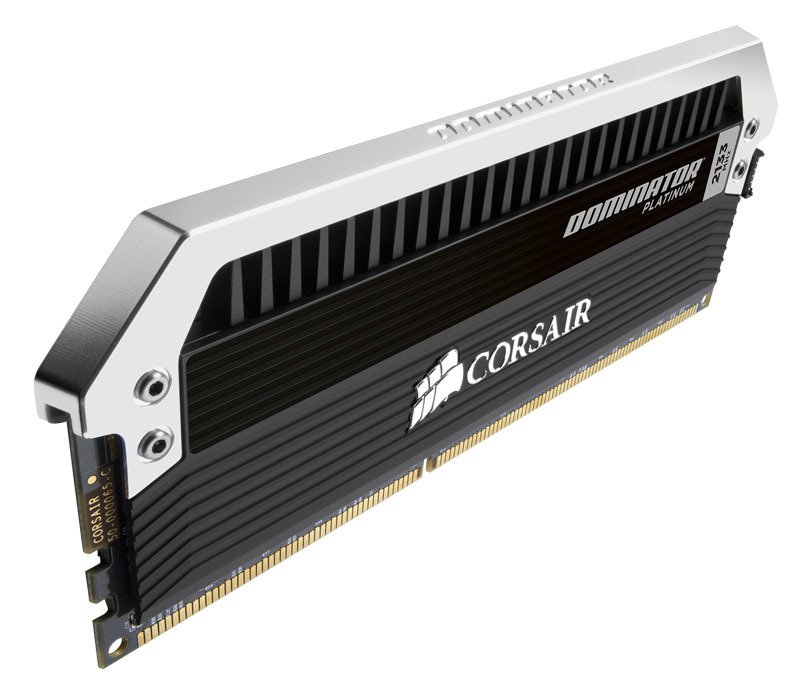 Like its predecessors, the Platinum series supports the Corsair AirFlow fans and AirFlow Pro dynamic temperature and activity displays. Be the first one to own an awesome creation. 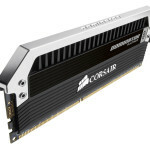 You can buy Corsair Dominator Platinum DDR3 CMD8GX3M2A1600C9 via Corsair’s site for $105.99. 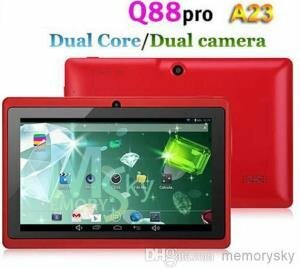 But Amazon is offering a much lower price of less than $100 USD. 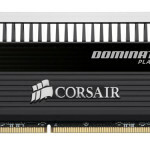 Check today’s lowest price for Corsair Dominator Plantinum 8GB DDR3 Kit here.